Take a design chance when you are choosing ceramic tile patterns for your business or home. Here is your opportunity to customize our current tile patterns to fit your precise designs needs. If you do not find a pattern that will work in a particular space, our team can design something special for you. With this bold and curvy ceramic tile, you can have it installed in different patterns to emphasize the movement when paired with contrasting grout. You can create an illusion of a waterfall because the long sides are straight and the ends are wavy. 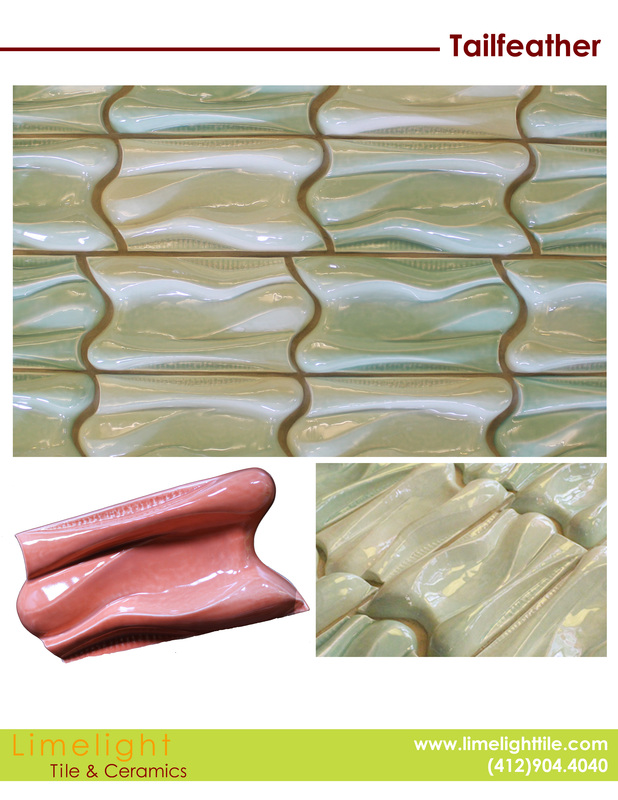 Another way to customize the design is to offset the curved grout lines or to line each one up for a continuous flow. The Tailfeather can be installed in different or repeating patterns. Schedule an appointment to view our custom ceramic tiles selection by calling (412) 904-4040 today. Our team will assist you when you are ready to select restaurant tile.